YOU ARE THE KEY to preventing CANCER! During this training you will see first hand how HPV related cancer affect our day to day lives, how the vaccine protects patient between 9 to 26 and how you can be a HPV Ambassador will help to decrease the incidents of HPV related cancer. What is an HPV Ambassador? 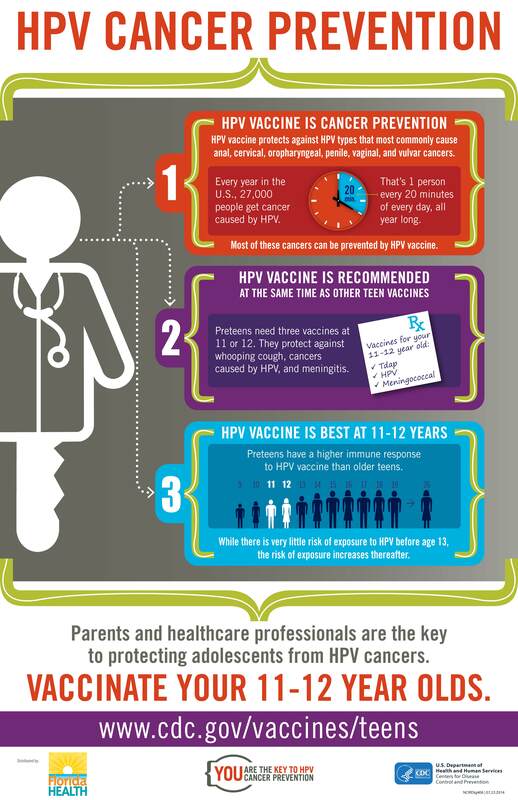 An HPV Ambassador is a healthcare professional/community liaison who is trained to educate on the importance of the HPV vaccine in preventing related cancers and diseases. This Healthcare professional will utilize the method of SAME DAY/SAME WAY when giving a strong recommendation on receiving all adolescent vaccines. Continuing Medical Education credits available. Visit https://historyofvaccines_hpv4.eventbrite.com to register.